In between Green Lantern No. 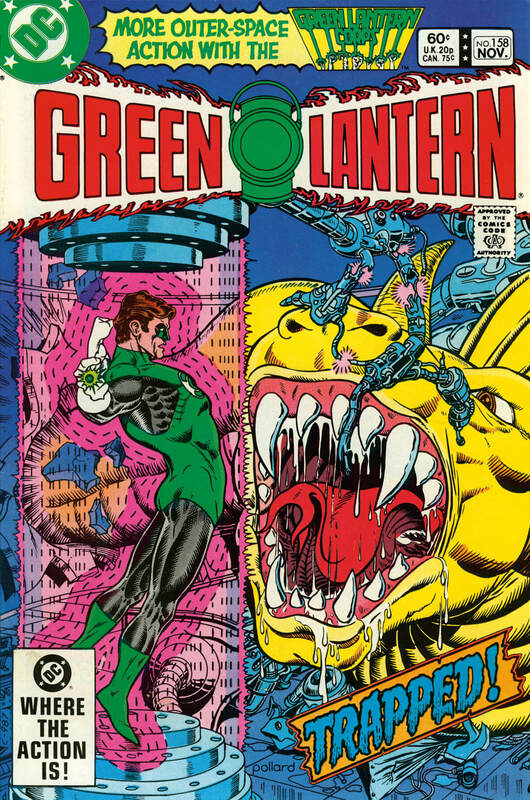 151 – when Marv Wolfman and Joe Staton left after one of the best runs on the title – and Green Lantern No. 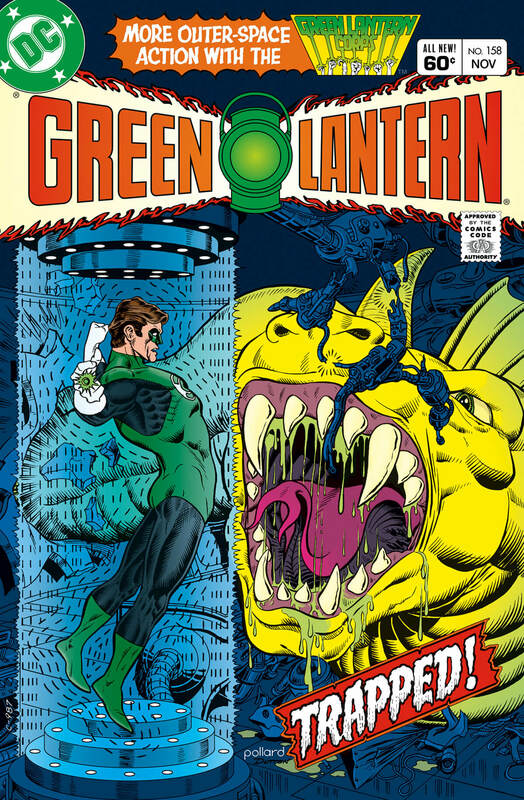 172 – when Len Wein and Dave Gibbons took over, Green Lantern went through a number of writers and artists. 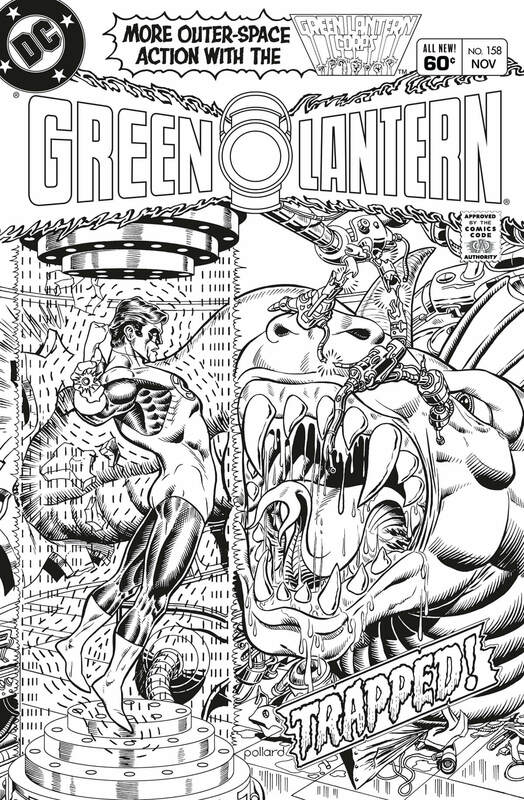 In spite of experienced talent, GL floundered, lacking solid editorial direction and decent writing. 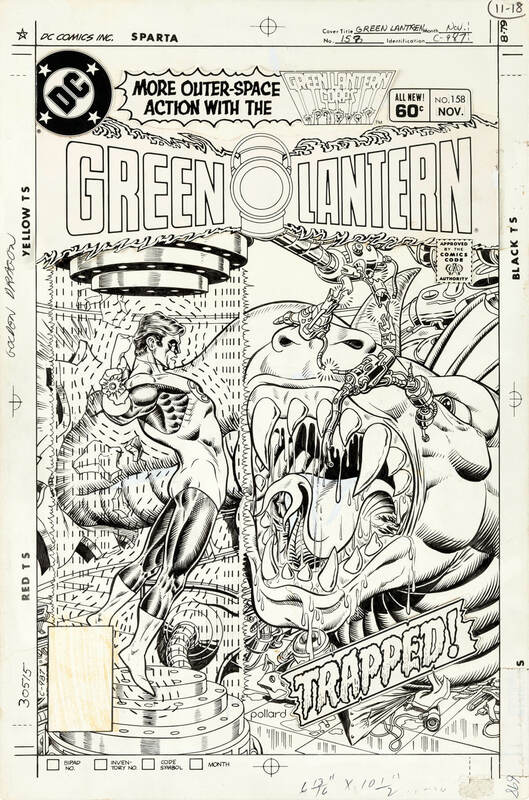 A bright spot was the work of artist Keith Pollard, who had come to DC to work on the new version of Vigilante introduced in The New Teen Titans, and he drew a number of issues of GL, including this cover for No. 158, November 1982. Re-created trade dress – logos and type – added.